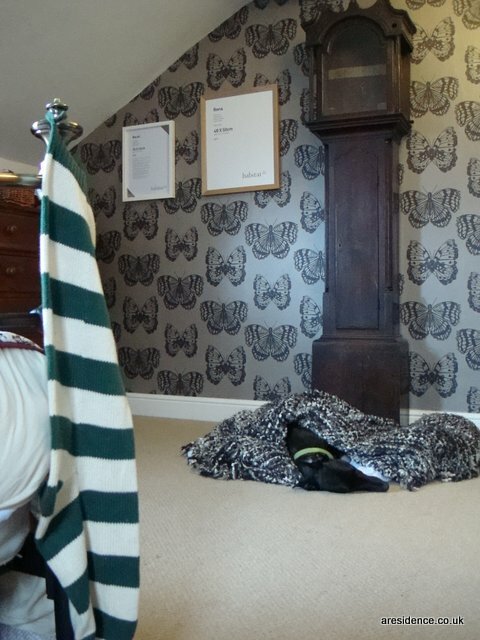 Before Christmas Habitat sent me two fab frames, you might have seen them featured in my bedroom makeover. Back then I had run out of ideas as to what to put in them. But then inspiration struck when the kids came home from school with a bag of things they had made over the term. So this is what I did with them: The white Bacall frame is really unusual, in that it allows you to place a picture between a piece of very thin glass and a backing of transparent acyrlic. In the picture above you can see the wallpaper through which is a cool effect. This would be great for something like a postcard that you would like to be able to see both sides of from time to time! 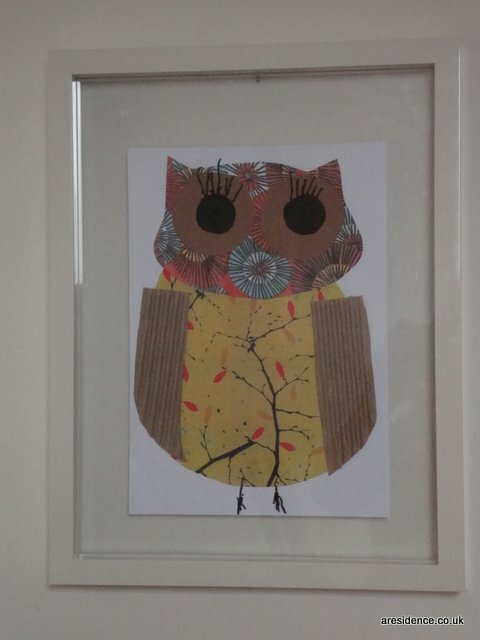 I’ve photographed it against a white wall as the light is terrible in our bedroom, Mr G made the owl I chose to put in ours, isn’t it sweet? Miss L has always loved art, I think it might be her thing, and she has been lucky enough to have teachers who really nurture that. Given she finds reading tough, I’m pleased she has found something that comes naturally. I have an overflowing envelope full of all the little cards and paper scraps she drew at school for me. As I put this collage together in a Contour frame I realised these little gifts are becoming fewer now that she is in year 2. Maybe when she sees her art framed she will make me some more. I love the daffodils she did for Mother’s Day in Year 1 and her Year 2 Christmas robin. While it took me ages to think what to put in it, the actual framing part was simple. It was well worth it to see the smile on their faces! You can find the full range of Habitat picture frames by following the link. Ooh I love this idea Penny, and that frame with acrylic is something a little different too. Nice choices. I should do this more, and stop throwing their works of art in the recycling! 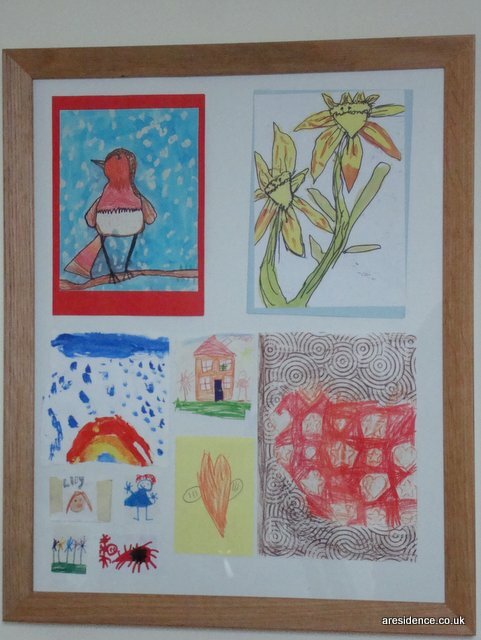 Oh these are lovely…how artistic are your children!